At Glassridge, Investment Property Loans are what we specialize in. We work with our funding sources to bring you the very best investment property hard money loans. We are hard money industry experts, with connections to all the specialized lenders, ensuring you get the best rates and loans that are unique to your particular situation. We have unique Investment and Rental programs that can help you attain your real estate investment goals. 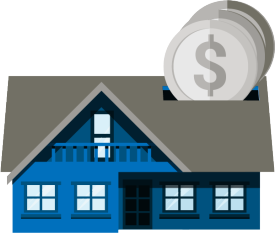 Whether you're looking to fix and flip or buy and hold, be they residential or commercial deals, Glassridge would be happy to help connect you with the real estate investment property loans you need to buy, refinance, and/or renovate, all while helping to ensure you maximize ROI by getting the most affordable loan rates & packages.